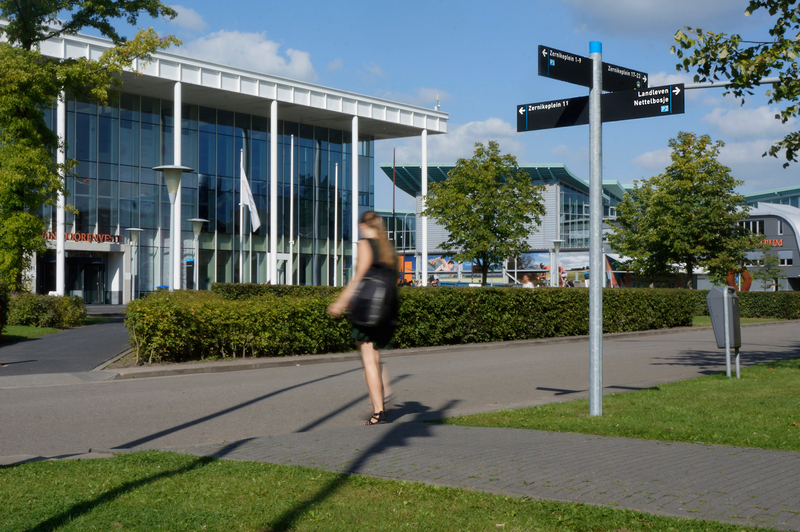 The dynamic and diverse Zernike Campus Groningen (ZCG) is the seat of Groningen University, the Hanze University of Applied Sciences Groningen, various companies, sport complexes and student accommodations. Because of the site’s expansion and its changed use, ZCG commissioned us to design the new system, once again putting trust in Mijksenaar. 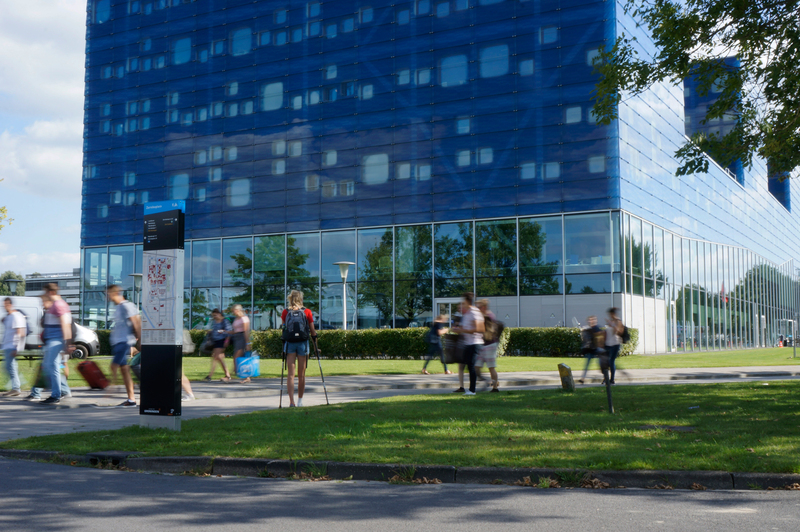 Looking at the challenge afresh, but with all of the knowledge garnered during the previous project in the back of our minds, Mijksenaar created a bilingual system that serves all of the area’s users. It was essential to involve the client; a collaboration of the parties housed on the campus, the City and the Province. Generating support for our solutions were therefore critical to the success of the project. To this end, Mijksenaar organized lively workshops and built full-sized mock-ups.